Sports entertainment industry is perhaps one of those that will always continue to bloom, and World Wrestling Entertainment (WWE) is right in the middle of it. About 20 days back, we told you about the entertainment giant’s plans to go digital only, thriving in the world of online subscriptions and specifically aiming for getting a spot in the digital space. The network at that time claimed that it will go live on the digital platforms February 24th, and we promised that we’ll remind you when that happens. Well, it’s here – the moment is live – and WWE now resides on the Apple TV, iOS, Android, PlayStation, Xbox and the Web. According to the looks of things, it seems that you’ll need at least a second-gen Apple TV or newer to avail the streaming broadcast from the network. The set top box from the Cupertino company currently sells at $99, and also enables you to get subscriptions for the wrestling network right from within your Apple TV. 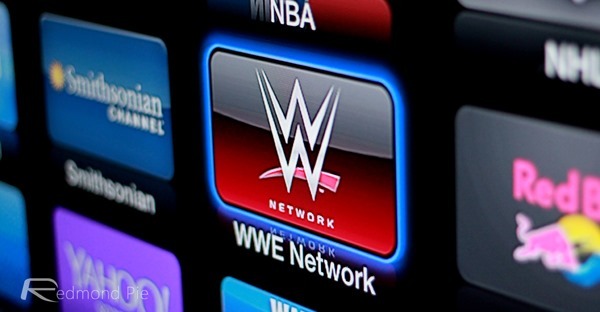 Earlier, reports suggested that a deal between Apple and WWE might be unlikely, since the fruit company was allegedly asking for a rather high cut from all the network subscriptions, and decidedly more than what the industry standard was. Those terms have come to a close, it seems, as WWE is now alive and kicking on the new platform. Speaking of alive and kicking, it’s interesting to note that the network is seeing a massively successful response from its fans as part of this move. According to a note on WWE’s homepage, “Please be patient if you’re ordering WWE Network as we’re experiencing extremely high demand,” which goes on to show that the move to digital only subscriptions is being well-perceived by the viewers. To make things even more interesting, the network is also offering a one-week free trial subscription, which, incidentally, you’ll have to manually, actively cancel should you not wish to keep it. So, starting today, all the WrestleMania action, the hype of SmackDown, the infamous SummerSlam – all of it will reside in the official WWE iOS and Android apps, and can be accessible via the Web and on Xbox 360, PlayStation 3 and 4, with support for Xbox One and Smart TVs coming this summer.